In Mayurbhanj, Khiching is famous for Maa Kichekswari Temple and black granite stone carving works. It recognizes Mayurbhanj in the map of the nation. 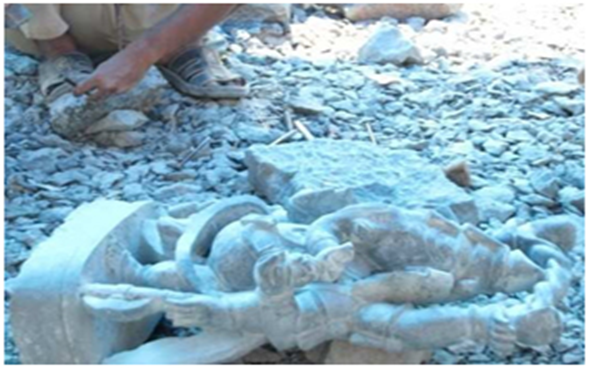 The primary occupation of more than 200 families of 2 villages is stone carving in this area. Initially the work was restricted to a special caste only but with the passage of time other castes also adopted this occupation including tribals. More than 50 tribal families were engaged in the stone carving in Kesna village. But their work is not finished as like others which fetch them less remunerative price in comparison to the traditional stone carvers.